Couldn't ask for a nicer day to go fishing than on Thanksgiving. 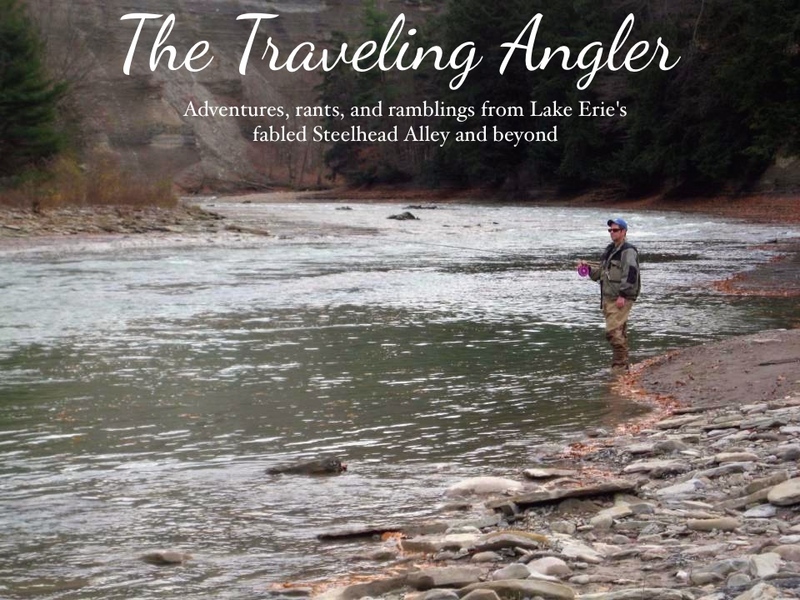 It was especially nice that most of the steelheaders couldn't weasel their way into a day of fishing. The in laws, the honey to do list or peeling an endless pile of potatoes. Because I knew tomorrow, the rivers would their version of Black Friday. Even though I have the day off, I'll be more than happy to sleep in and instead of parking on a spot in the dark waiting for first light, only to hear the voices and splashing in the water as more anglers take up their places at the pools. Due the warmer temperatures most of the snow melted and the streams came up. I knew of several that would be borderline and I was the guinea pig for several others hoping to wet a line for tomorrow. I received the calls early in the morning and gave the thumbs up and resumed fishing. Some of them pissed and moaned, that they couldn't get out. The morning crowd showed up and frantically fished before the dreaded calls came in. It wasn't as bad as I thought it would be. By noon, I had the river to myself and I enjoyed it as much as possible. It's rare to enjoy solitude on some of Steelhead Alley's streams at the high of the fall run. Fishing was tough as the water was high, stained and colder than a witches tittie. But I found several players, including one hog that wouldn't budge from the tailout. But I managed to screw that up as I took my time and the fish got fed up and turned and burned into the chute - snap. It was mostly fresh fish hanging out at the tailouts that hit quarter sized sacs in pink or chartreuse. After exhausting my supply of bait, I went for a drive to see the longest covered bridge in the U.S . I heard all of the hub-bub when it first opened for the general public to see. It's pretty high up almost a 100' and I doubt the Amish will fish from it unlike another covered bridge in the same county. Nice fish and Happy Thanksgiving. Nice fish and get rid of that pink pin! Happy Thanksgiving. Hire Trotsky! He needs a job!